The UT is a young, entrepreneurial research university. 3,200 scientists and professionals conduct pioneering research on nanotechnology, IT, biomedical technology, but also governance studies and geo-information/ earth observation sciences. Research ultimately combines scientific excellence with a sharp eye for economic and societal impact: the UT is highly successful as business generator, with over 50 new spin-off companies annually. MIRA – the UT’s institute for Biomedical Technology and Technical Medicine – combines fundamental and applied research with clinical practice. This unique scientific path is recognized internationally for successfully stimulating application of fundamental concepts and enabling rapidly introduction of new treatments. MIRA works closely with hospitals, the business community and governmental organizations, securing its leading position in Europe. The Biomedical Signals and Systems group (BSS) performs leading research in the areas of neural and rehabilitation engineering and telemedicine. This research includes Deep Brain Stimulation in Parkinson’s disease, spinal cord stimulation for chronic pain, electromyography, ambulatory inertial human movement sensing, electromyography, Functional Electrical Stimulation, telemonitoring and personalized activity coaching in stroke, COPD and chronic pain, applying individualized behavioural models (close collaboration with Roessingh Research and Development: RRD). The Biomechanical Engineering Group (BME) has key expertise in human motor control and biomechanics and design of biomechatronic orthotic and prosthetic systems for supporting and training the impaired human motor system. 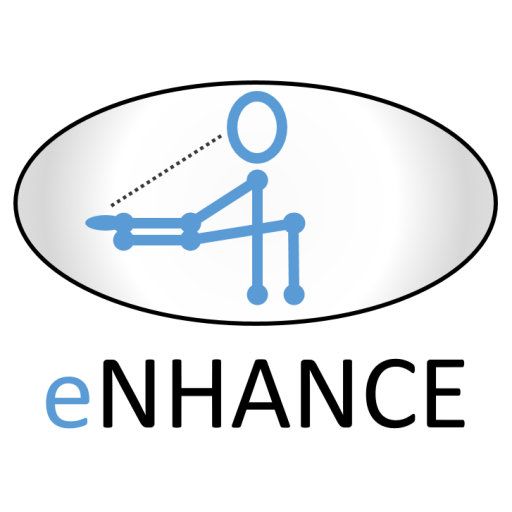 These biomechatronic systems are developed and clinically evaluated in people with stroke, spinal cord injury, Duchenne and amputation in collaboration with leading national and international rehabilitation and neurology departments, including RRD. Several designs have been transferred to companies and have been integrated in product like the Hocom Armeo boom and Saebo Mas arm anti-gravity arm support systems for stroke, or are in a far stage of development through collaboration with companies, like the LOPES gait training robot (collaboration with companies MOOG and Demcon). Prof. Koopman of UT is the Coordinator of the ENHANCE project. UT has a leading role in developing biomechatronic user support and ambulatory sensing of body movements (WP2), adaptive user behaviour modelling (WP3) and motivational cueing and adaptive support based on a personalized behaviour model (WP4). Burglary, extension and other project updates.